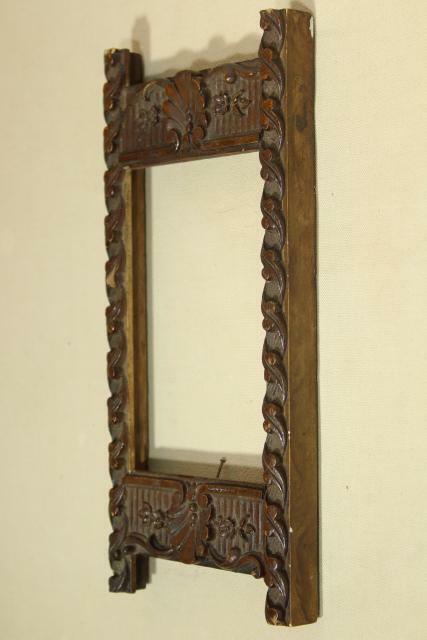 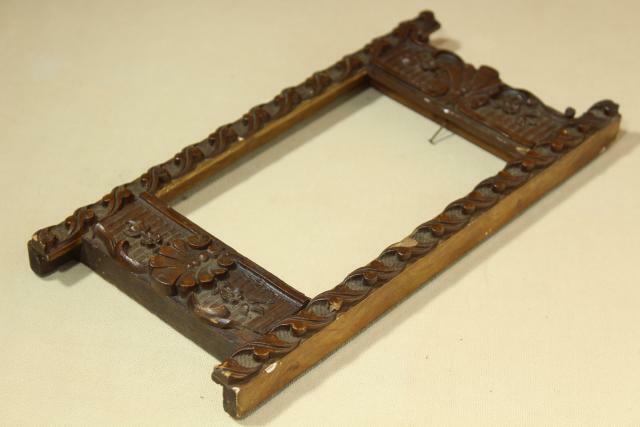 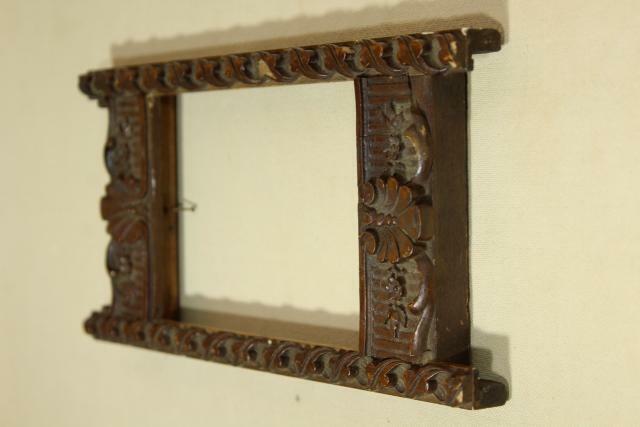 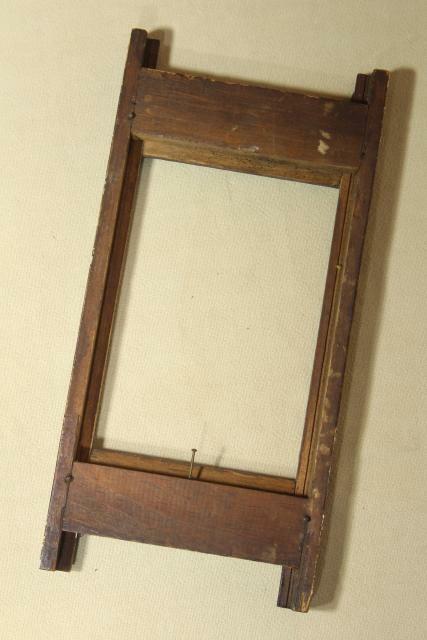 Beautifully detailed antique wood frame... this would be lovely to hold an old photo, postcard, or even a small piece of needlework. 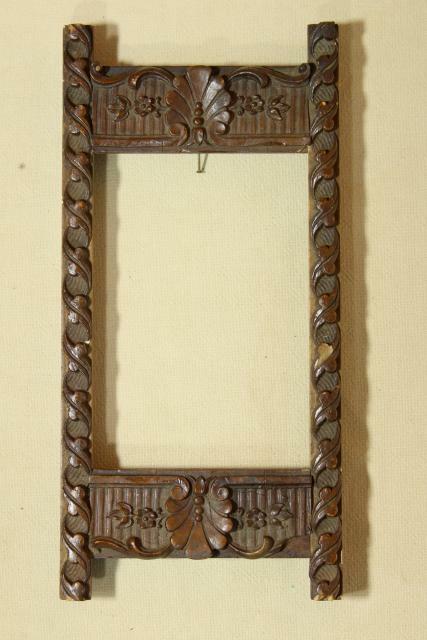 The opening at the front of the frame measures about 5 1/2" x 3 3/4". 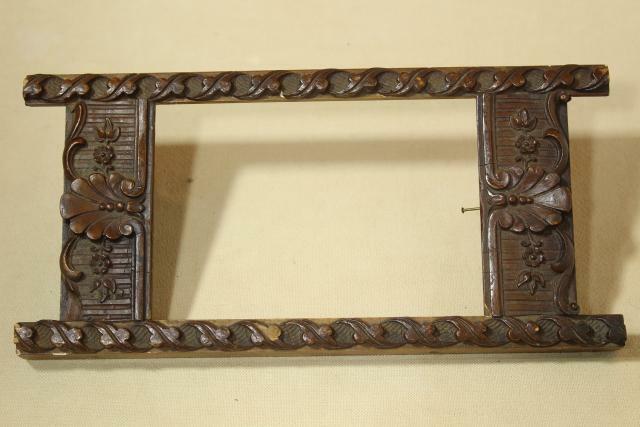 It's larger at the back, to hold a backing securely. 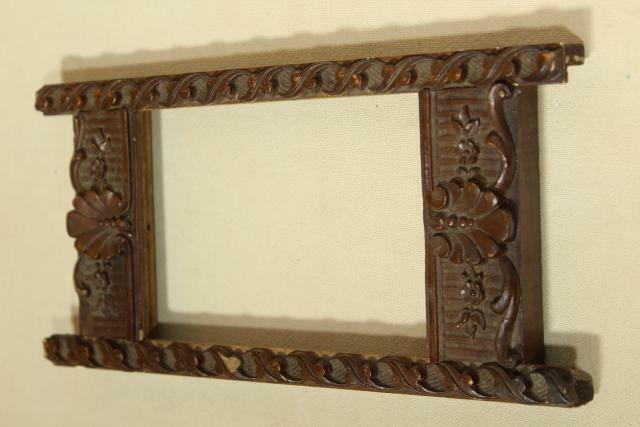 No glass or backing material is included. 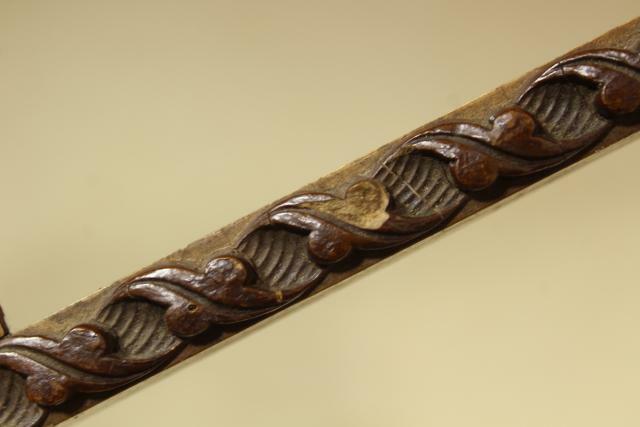 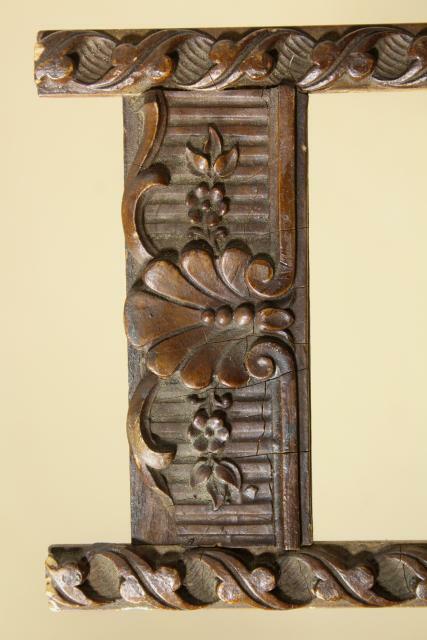 The wood 'carving' has some chipping and wear as shown. 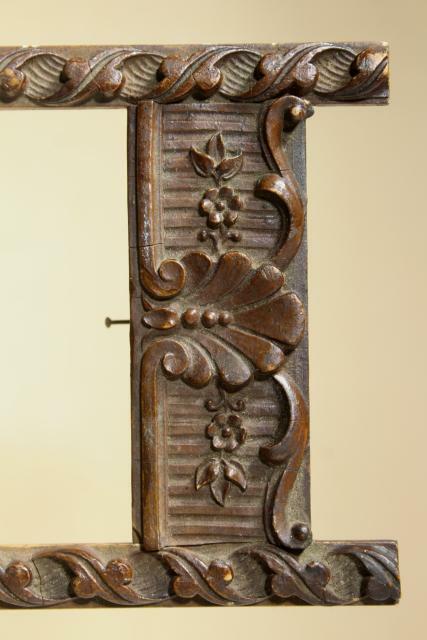 The finish appears to be all original, with a nice patina.